For a company like Harley-Davidson, change can be slow and incremental. Not so today, as Harley-Davidson announced a new plan for growth from now through 2020, including some significant, bold changes that many customers have long been asking for. There’s the new liquid-cooled modular platform in four displacements from 500cc to 1250cc, led by the company’s first adventure bike, the 2020 Harley-Davidson Pan America 1250, which we posted earlier today. Harley-Davidson says this new middleweight platform will span three distinct product spaces. 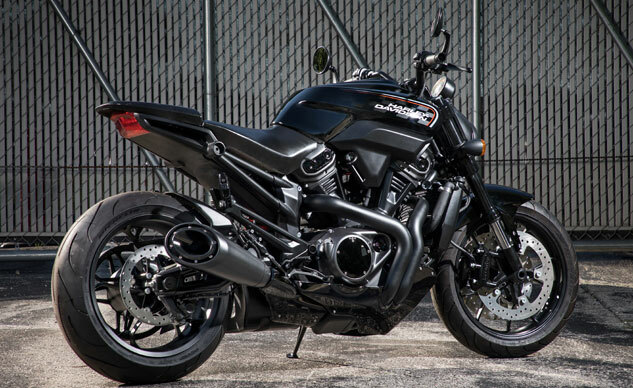 In addition to the Pan America, Harley showed off prototypes of a 975cc streetfighter and a custom model. These three models are just the tip of the iceberg. 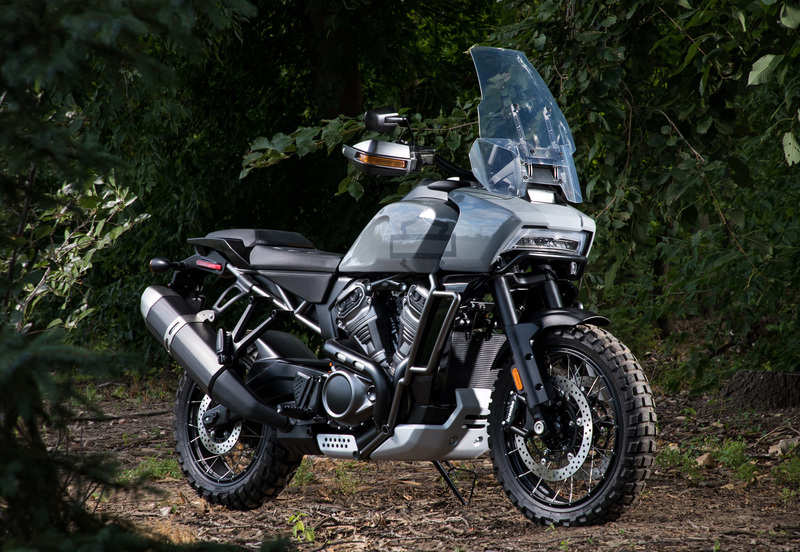 Harley-Davidson says it will launch a second adventure-touring model using the 975cc version of the engine by 2021. The as-yet-unnamed streetfighter model will be the first of nine standard models. These will arrive from 2020-2022 and carry engines displacing from 500cc to 1250cc. The custom model will be one of five bikes displacing between 500cc to 1250cc that are tentatively set to launch in 2021 and 2022. Harley-Davidson didn’t say anything specific, but it’s possible these five models may be a full replacement of the Sportster line. The new adventure-touring and streetfighter/standard models are a recognition of the strong demand these segments have in Europe, and will be a key element of Harley-Davidson’s plans to grow overseas. Harley-Davidson estimates this segment accounts for sales of 273,000 in 2017 model sales in Europe, none of which currently bear the bar and shield. There’s also the LiveWire, the first in a new line of electric Harley-Davidson models, set to launch in August 2019. The electric motorcycle market is still relatively dormant, and Harley-Davidson says it plans to take a leadership role, especially from a design perspective starting with the LiveWire. Electric motorcycles are currently priced significantly higher than similar performing internal combustion models, but Harley-Davidson predicts the market will reach cost parity as early as 2030. The LiveWire will be followed by two more electric models in 2021-2022 that Harley says will offer accessible power and pricing. Harley-Davidson will also offer a selection of what it calls “lightweight urban” electric models in 2021 and 2022. According to Harley-Davidson, these lightweight urban bikes currently make up the bulk of worldwide electric motorcycle sales (including 38 million units in Asia and another 1.8 million in North America and Europe). Harley-Davidson also announced plans to partner with an Asian motorcycle manufacturer to develop small-displacement models from 250cc to 500cc within the next two years. These will be produced in large quantities for the Asian market, and Indian in particular. The small-displacement models will help increase Harley-Davidson’s brand in Asia while acting as a bridge to its larger-displacement models. From the business side of things, Harley-Davidson says it will try to broaden access to customers by expanding its website to “integrate and enhance the dealership retail experience” and forming alliances with online retailers. Harley-Davidson expects online or digitally-influenced sales will account for 99% of customer retail growth over the next five years. Harley-Davidson also plans to open up to 125 new, smaller storefronts in urban locations by 2022 to increase sales of apparel and other products. This will include a mix of permanent and pop-up retail locations. Traditional dealerships will still play an important role, and Harley-Davidson says it will implement a new performance framework to strengthen its dealer network. Harley also plans to open 25-35 new dealerships in international markets (primarily in emerging markets) by 2022. Harley-Davidson says its accelerated strategy will require the allocation of $450-550 million towards operating investment and $225-275 million in capital investment through 2022. These will be funded entirely through the reallocation of previously planned resources and comprehensive cost reduction. If all goes well, Harley-Davidson forecasts annual revenues to grow $1 billion by 2022.